Bernie Olshansky: Both Cy Young awards were announced yesterday. 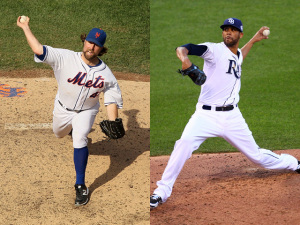 R.A. Dickey won in the National League and David Price won in the American League. Dickey won by a large margin; he had 209 points by 27 first place votes and five second place votes. This race was not even close. Price on the other hand, won by four points. He received just one more first place vote than Justin Verlander, who finished second. Here’s my take on how the voting went down. Can Canada Support a Second Baseball Franchise in Vancouver? 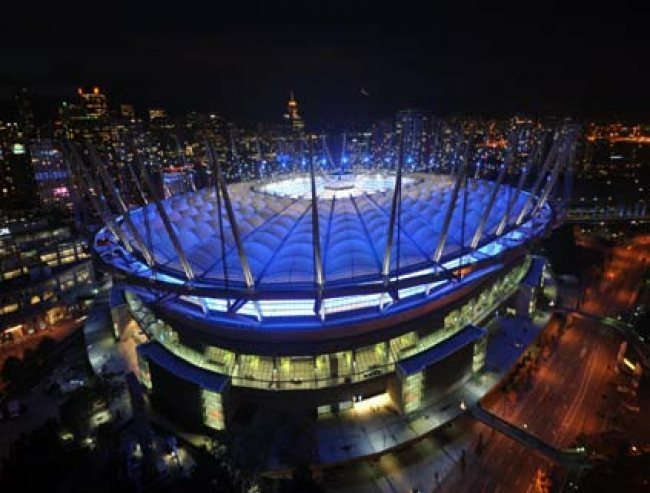 Newly renovated BC Place Stadium with $600 Million Dollars in upgrades, re-opened on Sept.30/2011 and features a 100 by 85 retractable roof. The lights also illuminate different colors both inside and outside of the building. The stadium could be converted to meet MLB specifications. Chuck Booth (Lead Baseball Writer and @chuckbooth3024 on twitter)- At first look you might not think that Vancouver could support a Major League Baseball franchise, but there are a few things to consider. With a surrounding area population of 2.5 Million, it is one of the biggest cities in the USA or Canada not to have a team. Of course when you are looking at the viability of a franchise submission/or relocation, you must look at the facility that the baseball would be played in. With newly renovated B.C Place Stadium-(see http://www.bcplacestadium.com/,) and its $600 Million Dollar Renovations, it is one of the most impressive structures in North America now. The building itself is estimated to be worth over a billion dollars. It’s clear, retractable roof, with an incredible look to detail inside the building with 22 inch stadium style seating has all of the modern amenities that a new age fan would want. The facility features several new Skyboxes for corporate suites, and brand new concession stands that would be an extremely good revenue generator. The stadium’s surface is made up of Field Turf, and could be converted to meet baseball specifications. This stadium is a turn-key situation unlike any other in North America when it comes to a baseball ready facility.